Research by the American Dental Association shows that more than 60% of Americans do not floss daily and well over 20% do not floss at all, and this is not an isolated finding. If you did a little experiment of your own and asked your close friends for the truth about their flossing habits, you will find that many of them simply do not like flossing. Most people would rather clean a toilet, get a root canal or even get hit by a minibus than floss on a daily basis. So, what is it about flossing that we do not like so much? Maybe it is the fact that, unlike brushing your teeth or even whitening them, you do not immediately see the results or benefits of flossing. In fact, the only way you would know that your flossing habits are paying off is when your dentist tells you that you have no tartar between your teeth! Plus, it requires you to move your hands awkwardly in your mouth. Flossing, however, is a wonderful way to keep your teeth and gums healthy. Yes, it always feels like a cumbersome chore and we would rather not do it but doing it ensures that you do not have any food particles stuck between your teeth; particles that could develop into tartar. Flossing, in short, keeps away gum disease. How many times have you told your dentist that you floss daily when in reality, you don’t even know where your dental floss is at the moment? The truth is most of us would more easily lie about flossing than we would actually floss. Interdental brushes are an excellent alternative to flossing. The problem is that some people have very densely packed teeth. So much so that they can hardly fit even the tiniest of interdental brushes in between them. It is, however, important to try as much as you can because as things stand, using a regular toothbrush only cleans three of the five dirty surfaces of your teeth. You simply must find a way to clean between your teeth; that is where most of the food particles hide and foster gum disease. There is growing evidence that interdental brushes do actually go a long way in helping you prevent gum disease. Maybe even a bit more than dental floss! Water flossing is exactly what it sounds like; flossing using water. Instead of a nylon string, a water flossing device shoots a steady stream of high pressured water in between the gaps in your teeth to try and dislodge any would be plaque building food particles. The device used for water flossing is easier to handle for most people than their dental floss. The best part is that they are quite affordable too. Read about the Best Water Flossers here. 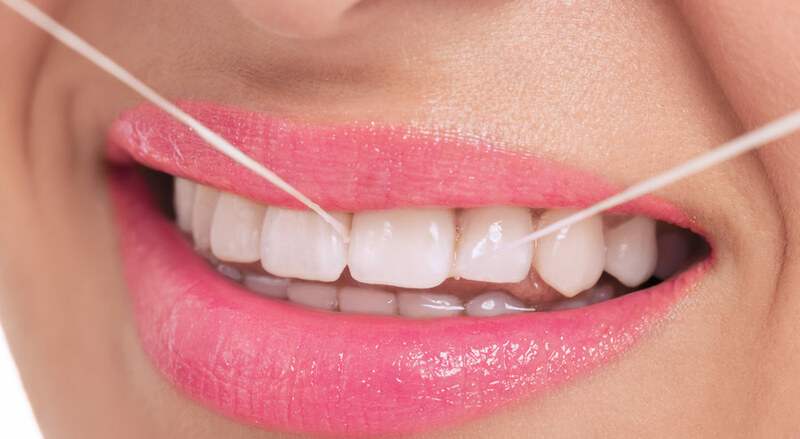 For many people, the problem isn’t the actual flossing itself; it is the threading of the string, so they can reach those difficult to find spaces between their teeth. For these people, the simpler solution would be to buy pre-threaded floss that you can even use with one hand. These allow you to enjoy all the benefits of flossing without necessarily having to go through the hassle of threading the string yourself. Soft-picks have steadily become a favorite within the dental community. They are basically a crossbreed between an interdental brush and a dental pick. Think of Soft-picks as specially designed toothpicks that are made out of plastic but have a soft tip and bristles made out of rubber. These picks fit comfortably between your teeth and do not cause any damage to your gum tissue. This is one of the more extreme options for those who do not like to floss. 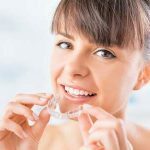 If you are extremely opposed to the idea of flossing yet and cannot use a water flosser or an interdental brush, then you could make your “should be quarterly” visits to your dental hygienist much more frequent. 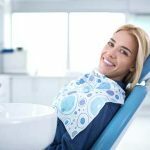 You should be seeing a dental hygienist on a regular basis anyway because no matter how careful we are with our teeth cleaning efforts, there is a good chance that we will miss something that might end up turning into plaque or tartar. Your dental hygienist uses advanced methods to clean between all your teeth plus they have a much better vantage point. This option is a bit more expensive and involved than the rest, but it is an excellent alternative for those who prefer to carpet bomb the problem rather than use a sniper’s rifle. We know that many people would rather avoid flossing at all costs, that is why we put this list together; to help you find practical alternatives to flossing. What should be reiterated is that swirling mouthwash in your mouth is not an effective alternative to any of the above methods. 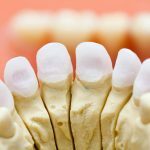 When it comes to getting rid of food particles between your teeth, you have to get in there and dislodge every single bit otherwise it will just fester and develop into plaque. We recommend that you use a viable alternative such as a water flosser which is easier on the gums and easier to use than dental flossing. 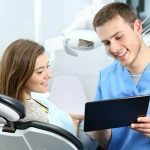 We also recommend that you visit your dental hygienist as often as you can to make sure that the health of your teeth and your gum are on course.